I seem to be following an alliterative theme with my blog titles, so I figured I'd stick with it. I forgot to do a weekend recap in my last blog post-- a key component of modern-day bloggery! So-- to recap-- on Saturday morning I ran the inaugural Dirty Donkey Mud Run at Spring Hill with my faithful compadres Lisa Smith and Steph Rowan. I won't lie-- I was a bit of a nervous nelly prior to starting the race, especially as I initial'ed my way down the waiver -- risk of death and serious injury, obstacles not limited to barbed wire, fire, sudden drops into water, extremely uneven terrain... yes, I had visions of myself breaking an ankle on some kind of random hillock in my path and being unable to go to Argentina. Not an attractive prospect. However, I rallied up my courage and set out. It was a blustery morning, quite nippy actually, but undaunted, we set off in the 11 o'clock. Basically, the run is a 5k trek around (and up, and down, and up, and down, and up again) Spring Hill, with 13 or so obstacles in your way. Jump off round bales into mud pit. Over and under hurdles. Crawl under net through mud. Attempt to cross mud pit hanging from a series of ropes. A truly gruesome slip and slide which incorporated icy water and a series of rocks. A "Dumpster Dive" wherein the dumpster was filled with mud. You see the basic premise. And y'know... it was a blast. Myself, Lisa and Steph following our triumphant finish! 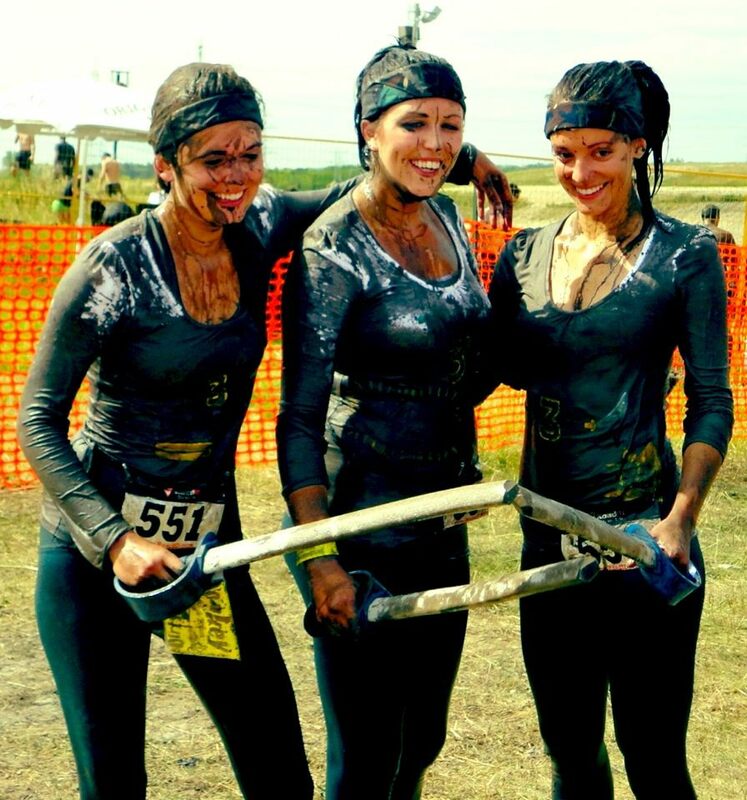 Lisa also managed to fundraise almost $300 for MS research, so it was gettin' dirty for a good cause. Also, free chips at the end.